Issue 1 Re-release! 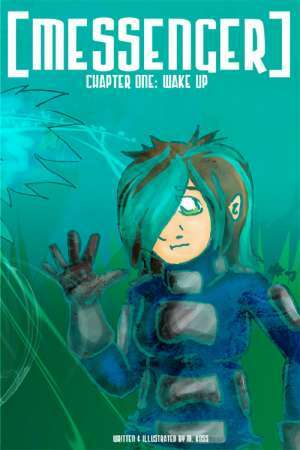 published on July 12, 2010 Read more posts by the author of Issue 1 Re-release!, BugbyteNo Comments on Issue 1 Re-release! The second edition of Messenger issue 1 is now available from IndyPlanet! The inside content is exactly the same as the Lulu version I did last year; only the cover art and the ads in the back have changed, so if you’ve already got a copy of the first edition you can safely skip this one! It’s $7 + shipping, 100 pages, black and white. It contains all of the re-drawn pages of Chapter One, plus two bonus minicomics along with other extras. Issue 2 is coming later this summer! Stay tuned!